Let's hope you're not allergic to flying insects, cuz this one is sure to cause a reaction! 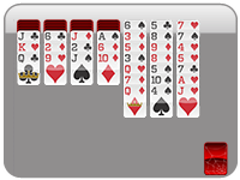 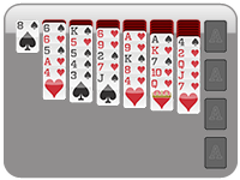 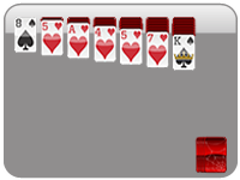 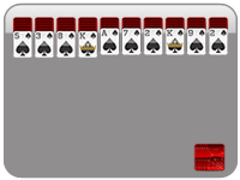 This 4 suited spider solitaire is the hardest version on the site. 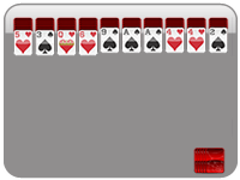 Played with 4 suits, you're going to have to stack / recombine cards of various colors on top of one another to wind up reaching your objective: build 4 stacks of cards, from king-to-ace. 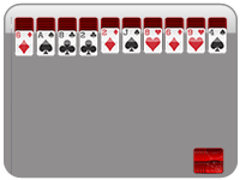 As each stack is built, it will disappear from the board--giving you more room to move your cards around--so, it's vital to get this done ASAP. Once again, the best way to play the card game Wasp Solitaire is to first create an "open" space (look for a top card that can be placed onto another card in the game), then use this space to wiggle the other cards around. beat this and brag to all your friends--your high score is automatically saved!